IN THE END, WHAT BETTER DEFINES YOU IS WHAT THE OTHERS SAY ABOUT YOU, DON’T YOU THINK? 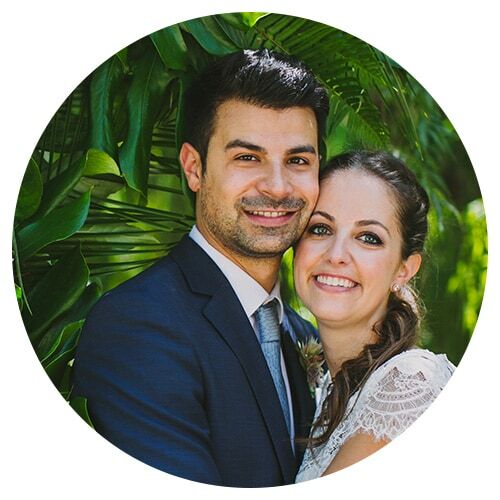 We chose Paula among so many good professionals, encouraged by the good recommendations of people familiar with the Spanish wedding scene. From the minute one she became part of the #DreamTeam of our wedding - in that video call Shanghai / Valencia - we knew we had hit! Paula did not just report on our wedding, but also a couple session and the pre-wedding cocktail, all on the wonderful island of Formentera. All the time we felt with her at home, super comfortable, relaxed ... in confidence! Her only request to us was ... be yourselves and let yourself go. How easy she put it to us, right? A few days ago we received the result of your work. And what to say? We are excited and HAPPY! Thank you Paula for having captured the magic, emotion, joy, love ... in each and every one of your photos. The light, the surroundings, the details ... Nothing has escaped you from the objective! We always wanted a "real" report, natural captures of moments, without forced poses ... And this is just what we have received. Now we have frozen forever some of the best moments of our love story. In addition to the best memory of our wedding, we have also won a friend! Thanks therefore, we will never tire of repeating it. See you around the world! The color and life of Paula's photos caught our attention from the first minute, we thought that was the reality that we wanted to be captured on the day of our celebration. We were happy, we had found a good photographer but ... oh what was waiting for us! It was the best: to know her! 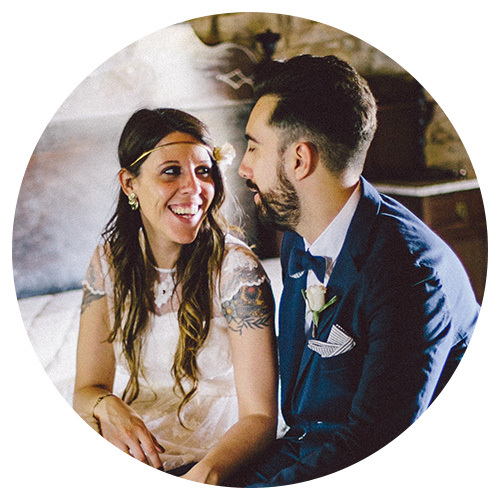 Paula puts love into everything she does, from our first conversation to her delivery email. It is amazing to find people who transmit so much security, affection and good energy in their work. We had the feeling of having been accompanied during all the preparations by a friend who with her generosity always offers more: coffees, breakfasts, postcards, whatsapps, emails ... She always had a space for us. We didn’t want a typical couple shooting and we went together to Paris, no matter the time, the distance ... Paula responds with a smile! The photos of our wedding are more than 1500 images filled with life, color, expression ... all our guests and moments are portrayed. A memory forever. Pau is one of the most rewarding people that this experience has given us in life. We hope that what our wedding have joined won’t be separated by anything! There are times when life makes you trip over someone for something. Paula was a wonderful coincidence for us. From the first photo we saw we knew it had to be her. Then, when we met her in person, we corroborated that: kind, close and professional. Everything has been easy and natural. 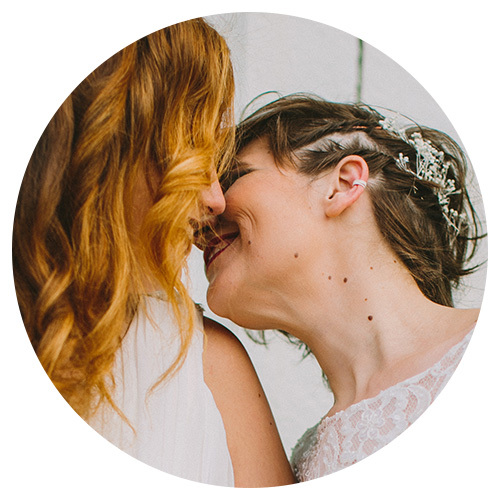 The photos of our wedding are a true reflection of what we felt that day. Thank you Paula for your dedication and your love. We have gone from having a photographer in Valencia to having a friend. Finding Paula was one of the most beautiful coincidences of our wedding. We loved the photographs we had seen of her through social media, but the total crush was to meet her. We both felt in love with her at the same moment we saw her and she went from being our photographer to our friend. The day of our wedding she made everything very easy, it made us feel very comfortable, very calm and very beautiful! And then, the result came: we knew it would be incredible, but really her photographs are pure art and pure love, like she. We would repeat a thousand times! The talent only understands attitude and much love, and that puts this photographer in each of his photos, always looking for the daily, spontaneous and natural beauty of their couples. One of the decisions that at first was a little complicated was to choose the photographer for our wedding since I am a photographer too and delegate that function to someone else I knew wouldn’t be easy. Until I found by chance a report from Paula, who has that aura and that something special in her images, her style and her look, that made us contact her without hesitation. Sometimes what begins as a professional assignment ends up, in addition, in a friendship.